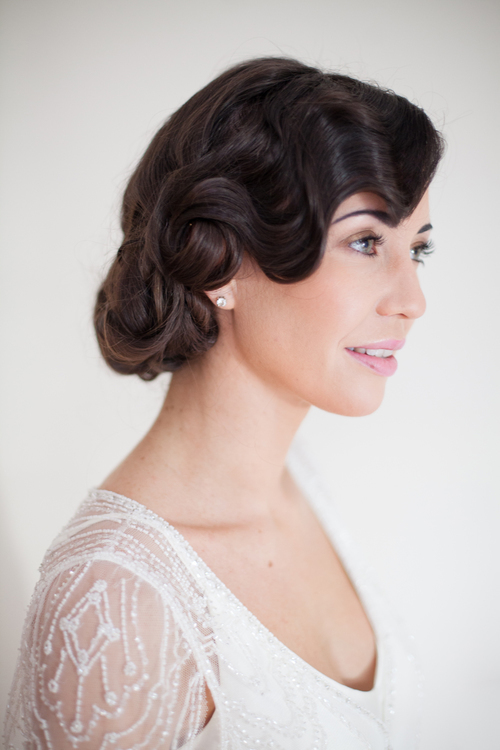 Gorgeous hair is at the very top of every bride’s wedding day hit list! 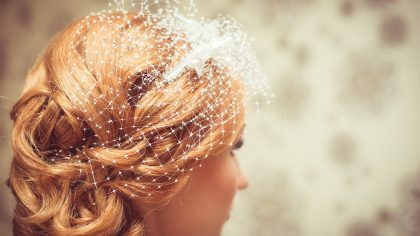 We caught up with super-talented hair stylist Claire Barry who gave her advice for prepping your tresses ahead of the big day and how to choose a style that suits your bridal look. If you have thick hair you’ll have the most options, but if you have thinner hair and are open to using extensions then you’ll have just as many! Don’t go for a style that will make you look completely different. 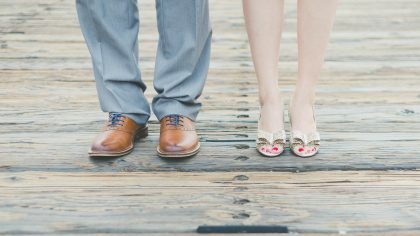 You want to look like the best possible version of YOU on your wedding day. Naturally thick curly hair will hold a down style well for the whole day but thin straight hair probably won’t. Your hair stylist will be able to tell you what will work and what won’t. 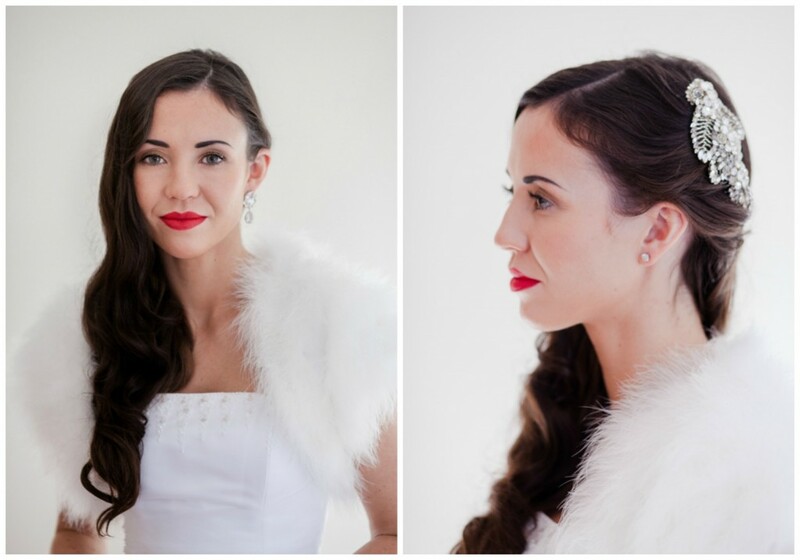 Give your luscious locks a chance to literally shine on your wedding day. In the six months before your big day I advise my clients to use a good salon shampoo and conditioner (Kérastase is a personal favourite). Hair treatments and masks are brilliant for hydrating dry locks. Melted Coconut Oil is also a great natural product, use once a week to really improve your hair’s condition. DO NOT use treatments the week prior to your wedding, nor any heavy conditioners. Ideally wash your hair the day before with a very small amount of conditioner, however if you are prone to greasy hair, wash that morning, again with very little conditioner (that’ll make your stylist’s job easier!). Your dress will guide you in choosing the right hair style. 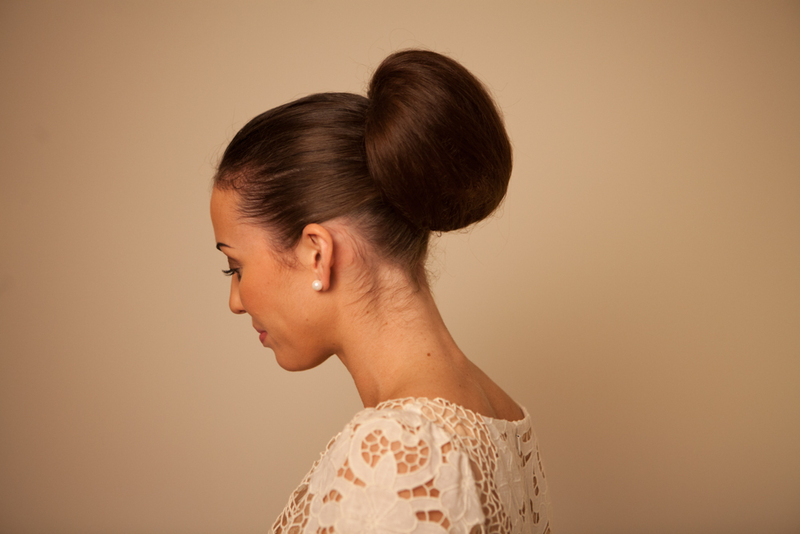 If you always imagined a certain hair style for your wedding day, make sure it will still compliment your gown. 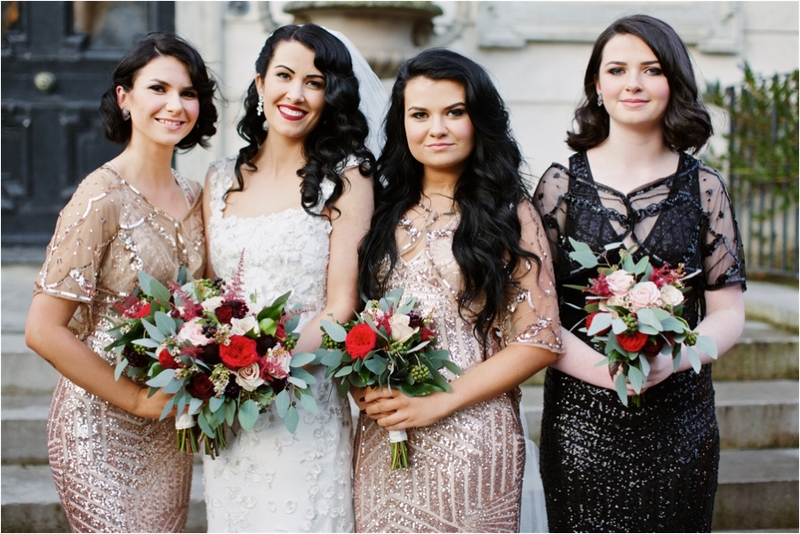 Your stylist will be able to advise you on styles that will suit different necklines, vintage eras, headpieces and veils. Have a phone consultation with your stylist first, this way you will both have a plan of action for your trial. Fill them in on your wedding style or theme, hair type and all the important details of your dress. Between you, decide on at least two styles to try out. If time permits, it’s nice to try a third. My trials last a minimum of 2 hours, perhaps a little long but an informed decision is usually reached by the end! Wear nice make-up to your trial or even better have your make-up trial beforehand, so you’re feeling your best and looking beautiful. Wear white (or a similar colour to your dress) with a somewhat similar neckline. Bring your veil or headpiece if you have one. Don’t forget to have photos taken! If you’re not happy with the trial, then don’t book the stylist for your wedding day. A trial is exactly that. Have your hair cut one month before. 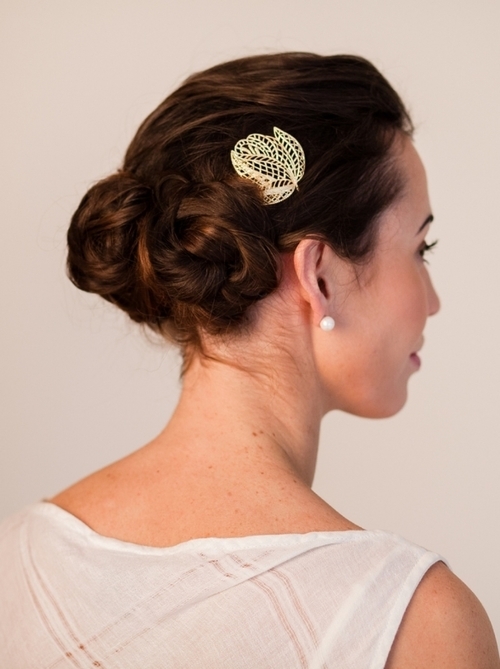 If you’re very prone to split ends then have a tiny trim the week before your wedding. 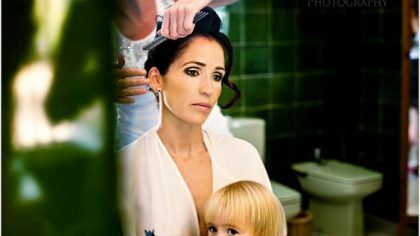 This is more important for brides who are wearing their hair down. If you colour your hair have it touched up 1-2 weeks before the wedding and maybe a final conditioning treatment too. 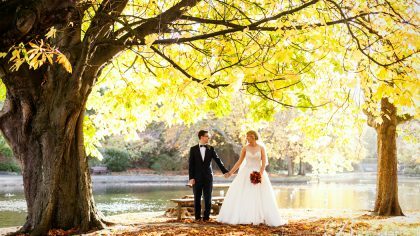 Image Credits: All images from Claire Barry signature styles and real brides.